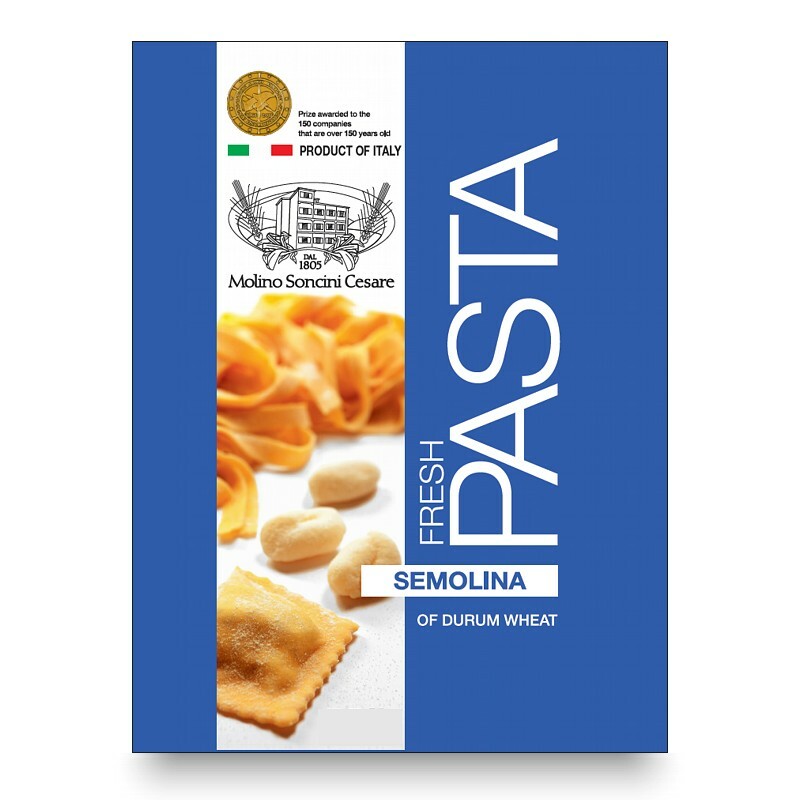 Soft wheat flour excellent for the production of fresh pasta. It is ideal for the production of traditional fresh pasta such as: tagliolini, fettuccine, orecchiette, ravioli, lasagne, filled pasta and egg pasta. 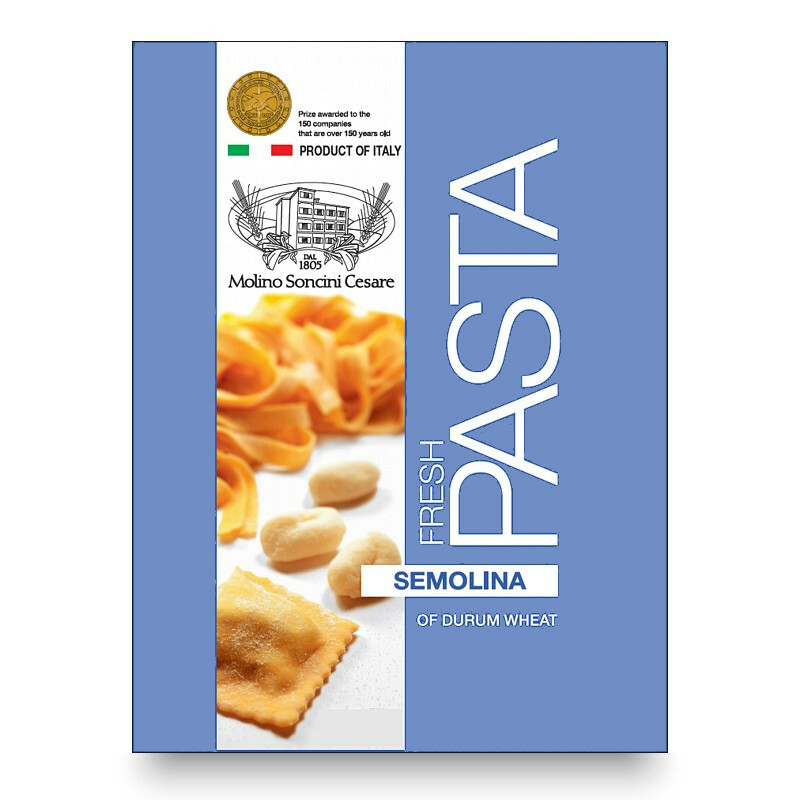 This is an excellent alternative to semolina in the preparation of egg noodles, as it improves the elasticity of the dough giving the finished product better consistency, maintaining an uniform colour for several days without turning grey. 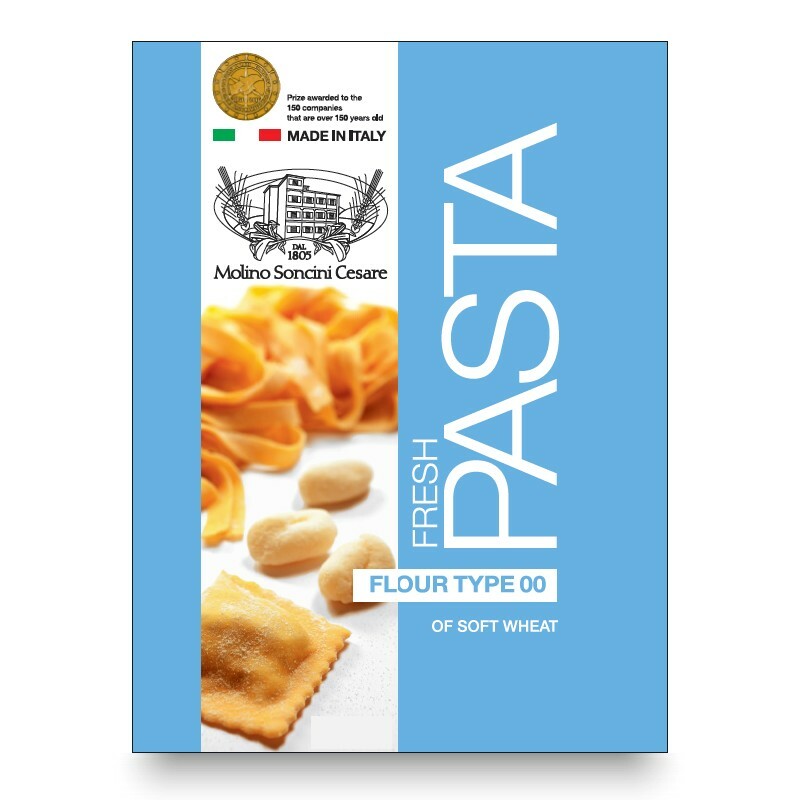 Its high degree of resistance to cooking makes the 00 Pasta flour an essential ingredient for the preparation of thin pasta sheets. It is suitable for manual handling as well as mixers and extruders.